Well Said — favorite expressions and phrases Betsy often uses when talking with parents. Betsy has helped parents negotiate the twists and turns, the highs and lows of parenting for over three decades. 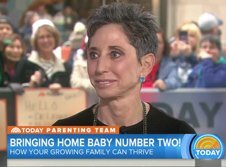 As a teacher, school director, child development and behavior specialist, parent educator, multiple birth parenting consultant, best -selling author, and parent (of adult triplets), she has developed a unique style in delivering her advice to parents.